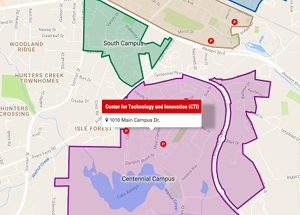 DELTA’s Applications Development team has been busy this year creating and updating tools in WolfWare, NC State’s collection of enterprise-level online learning tools. Since the May 2018 retirement of WolfWare Classic is coming soon, Senior Associate Director of Applications Development Jeff Webster and his team of developers plan to add new features to WolfWare. According to Webster, this is the perfect time to add updates that have been planned for a while. The WolfWare Email tool and WolfWare WordPress are being introduced to replace pieces of WolfWare Classic functionality. The email tool from WolfWare Classic is one that many instructors use to facilitate class communication. Webster said the Applications Development team is copying features from the WolfWare Classic email tool and creating a WolfWare version of the tool. “The email tool provides an easy way for the instructor to configure mailing lists for the students in their class,” said Webster. Instructors can use their normal email client to send a message to the list and it would go to all the participants in the class. The tool would have options to separate multiple sections of a large course and allow instructors to have a mailing list for each section. In addition, some instructional support staff would also have access to post to the list. Currently if instructors want to send an email to their class, they have a few options through Moodle. “The primary method right now is posting in the Moodle announcements forum and then all participants will get an email with the announcement,” said Webster. The convenient aspect of the WolfWare Email tool is instructors will not have to log into Moodle to send emails to their class. The tool will be available in Fall 2017 as a technology preview. “We have a mostly finished service, but we know it could have some additional functionality, so we want to give the users time to give us input. Since it’s in an early phase, we are potentially going to make some changes more rapidly than we would with our established product, Moodle, that does not change too much during the semester,” Webster explained. The WolfWare Email tool is scheduled to be fully released in Spring 2018. WolfWare WordPress is a tool that will be used as a place to publish public web content that does not require authentication, such as the Unity ID and password that is required to access content in Moodle. “WordPress is a fairly easy to use and stable platform for instructors to post content online, and we can add plugins to it if we want additional functionality,” said Webster. Through several DELTA Grants where WordPress was used as a way to deliver course content, the Applications Development team saw the tool works well. Webster also explained the Office of Information Technology has a blog service that instructors started using, but they wanted something that directly related to their course and students. Requests began coming in for a tool associated with instructor’s courses which led to the development of WolfWare WordPress, and with WolfWare Classic being retired, there was a need for a place to put public content. “We’re looking at a more streamlined version of WordPress with a small subset of plugins and one theme available. There will be an option to customize the banner, but essentially it is one theme with a bit of stylistic changes,” said Webster. The goal of WolfWare WordPress is not to duplicate features that already exist in WolfWare via Moodle. It is not intended to be a discussion forum nor an assignment submission tool since these tools already exist in Moodle. “The type of features that are standard in WordPress such as putting together web pages and allowing students to comment would be included in WolfWare WordPress,” said Webster. WolfWare WordPress will also be available as a technology preview in Fall 2017. Since it is more complex than the WolfWare Email tool, the technology preview will likely extend into the spring, allowing for more feedback and changes. 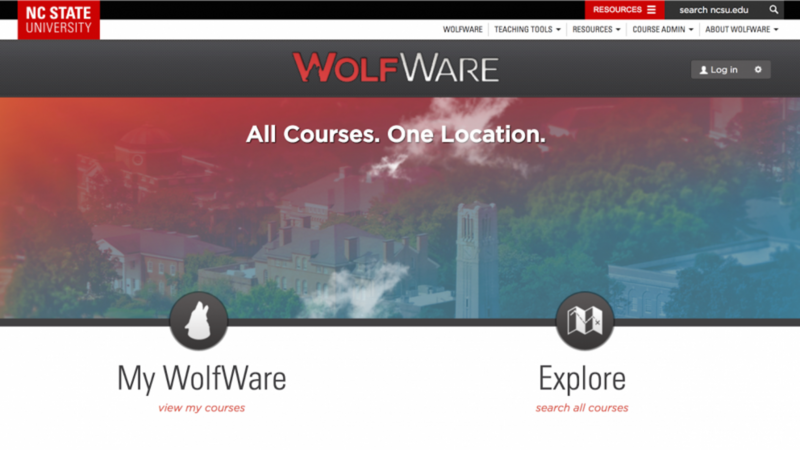 As a result of the WolfWare usability study, DELTA is working to make updates to the course management page. “It is not a new tool, but we are making it a little more clear on how to configure all your tools,” said Webster. Changes were also necessary to accommodate the two new WolfWare tools. According to Webster, after the new changes it should be easier for instructors to manage the WolfWare tools they are using in their courses. The initial course management page, which is mostly blank now, will have a summary of the configuration and provide access to quickly change some settings. Also the ordering of the items in the left menu will be updated to create a more logical structure. The course management page updates will be available for Fall 2017.